Founder and Director of the Graduate Program in Christian Apologetics at Biola University and author of Five Sacred Crossings. FBI Agent (Retired), Forensic Psychologist and President of Forensic Psycholinguistics, LLC. Astrophysicist with Reasons to Believe and Author of Who’s Afraid of the Multiverse? Assistant Professor of Apologetics at Houston Baptist University, Director of Confident Christianity Apologetics Ministry and Author of Why Do You Believe That? A Faith Conversation. “As a police detective and ministry leader, I understand that evidence is key both in solving crimes and understanding the truth of God’s inerrant word (the Bible). 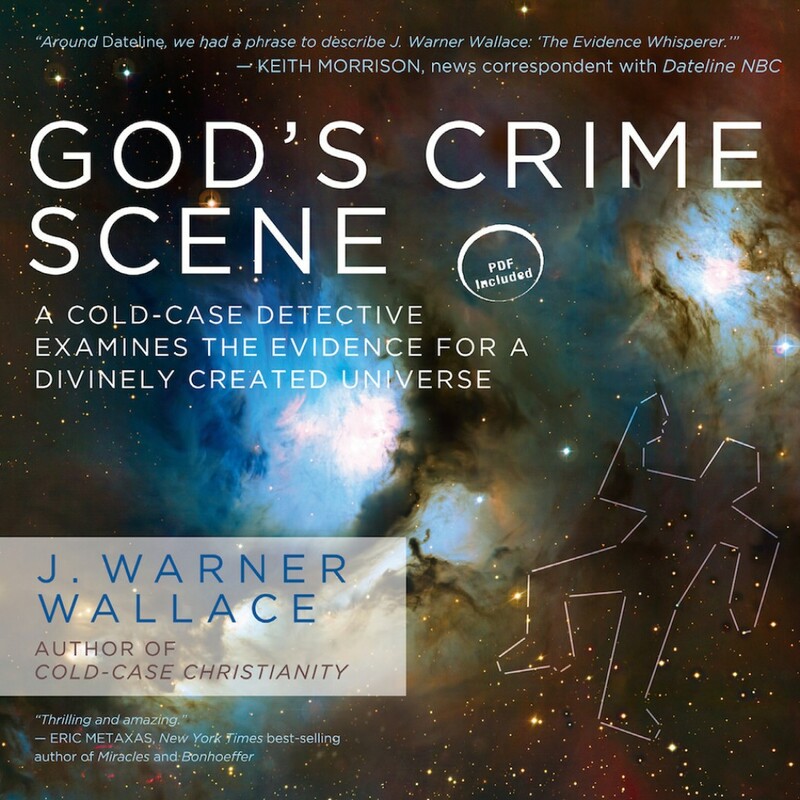 With that foundation in mind, Detective J. Warner Wallace’s latest work, God’s Crime Scene, brilliantly reveals the overwhelming and irrefutable evidence for a God-created universe from a cold-case detective’s perspective. This thorough and imminently understandable work should be mandatory reading for anyone seeking evidentiary proof of God’s orchestration of creation or for those seeking a powerful and tool with which to defend their faith based on actual evidence versus emotional rhetoric. An enjoyable read to boot — outstanding! Biola University Professor, speaker, and co-author of Is God Just a Human Invention? Lawyer, Speaker and Author of Grand Central Question: Answering the Critical Concerns of the Major Worldviews.